Cryptocurrency has been causing waves in the world of finance since it hit the scene with Bitcoin’s release in 2008. Many speculate that it’s a bubble about to burst, while others believe it’s the next big opportunity. Keep reading to get the ins-and-outs of the latest financial trend, its potential, how it can be traded and much more. Essentially a cryptocurrency is a digital currency. Think of it as electricity converted into lines of code with monetary value. The rise of Bitcoin and cryptocurrencies is with little doubt the biggest disruption to the monetary system for centuries. Internet enabled, it uses cryptography, the process of converting legible information into an almost undecipherable code, to ensure all purchases are secure and all fund transfers are verified. It also controls the creation of new coin. Significantly, a cryptocurrency is independent of a Central Bank. Whereas governments exercise controls over the value of a currency such as the US dollar or Chinese Renminbi (think of how China has firmly controlled its currency, often controversially, in recent years). By contrast, governments or central banks have no control over cryptocurrencies as they are totally decentralised. This means that the value of your money in a cryptocurrency cannot be affected by inflation or monetary policy in your respective country. The first cryptocurrency to be created was Bitcoin, in 2009. Hundreds of different cryptocurrency arrangements are now available on the internet and all are maintained by a community of cryptocurrency miners. These miners are members of the public who have set up application-specific integrated circuit (ASIC) machines to take part in the validation and processing of transactions. Cryptocurrencies use online technology to allow users to make secure payments and transfers anonymously and without having to go through a bank and its associated charges. 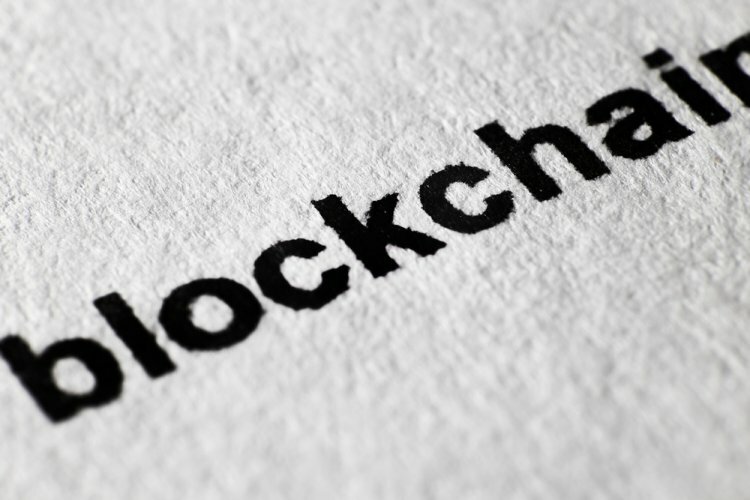 Cryptocurrencies run on a distributed public ledger called blockchain, a record of all transactions that is continuously updated and held by currency holders. Units of cryptocurrency are created through the mining process. Miners build the public ledger and enable the whole cryptocurrency system to work. As they create new blocks, miners are rewarded with new crypto coins. As more miners are incentivised by the rewards on offer, the crypto currency community expands. To receive a coin, a user must have a crypto coin address, a series of numbers that are essentially a virtual post box. These addresses are anonymous – you do not need an ID to open a wallet, but transactions are traceable. All coins received are stored in a crypto wallet.There are different types of crypto wallets, Hot’ or ‘cold’ wallet refers to whether the wallet is connected to the internet or not. Hot wallets are connected and though more user-friendly tend to pose greater risk. Cold wallets are offline and though less flexible are deemed to be more secure. A paper wallet is a document that contains all data needed to generate private keys. Essentially it allows you to keep a physical document containing this information. All cryptocurrency users need to hold their private key for maximum security. A hardware wallet stores the user's private keys in a secure hardware device. Hardware wallets can be used interactively, as opposed to a paper wallet which must be imported to software at some point. The type of crypto wallet you choose will depend on several different factors. For instance, whether you need to daily access your wallet? Do you wish to use several currencies, or just one? Will you need to access your wallet on the move? While security (more of which later) and inflation proofing are two obvious benefits of cryptos, the biggest attraction for cryptocurrency for many is investment potential. Even though they are virtual currencies, cryptos can still be exchanged or speculated on just like any physical currency. Investors have not been slow to pick up on the stellar price rises seen in recent years. Consider the fact that Bitcoin was only worth $0.06 in August 2010 (after a bug attack) but seven years later in August 2017 it had risen to $4,406.99. Given these kinds of rises it is not surprising the level of media attention and the increasing number of investors around the world making their first foray into the cryptocurrency market. Coin mining is when miners become part of a cryptocurrency network, making their hardware available to support that network's operation. By mining you are supporting the cryptocurrency community but you can also make a profit. This is because miners are paid to verify transactions on their cryptocurrency network. For instance, you could be a miner on crypto networks such as Dogecoin, Litecoin or Bitcoin. Running your own hardware to mine for coins can be quite costly – though it is possible for individual investors to make money this way. Probably the easiest way to invest in cryptocurrency is by buying and holding virtual coins within a crypto-wallet. In recent years, investors have benefitted from massive growth in crypto currency valuations. Buying, holding and then selling to crystallise a profit, is a similar principle to share or commodity investing. The timing is down to the individual. Will the currency rise in value further or is it more likely to stay around that level? Alternatively, is there a danger that the price could crash? Knowing when to cash in relies on investors staying focused, market aware and unemotional. The basic equation with cryptocurrency investing is fairly straightforward. If you buy coins at one price and then sell them for a higher amount, you make a profit of the difference between those two prices, minus any commission payable. So, let’s say you bought Bitcoin at the end of December 2016 when it was priced at £782.49 and then sold when the price hit £4,308.73 on 25 October 2017, the profit would have been £3,526.24 minus any charges. An attractive return in anyone’s book however there is always a potential downside – outlined in the risks section. As with share or commodity investing, some people prefer not to actually own or store coins. For these investors there is the option to buy shares in funds that have invested in cryptocurrency. These investment products allow investors to speculate on cryptocurrency price moves without actually buying coins. The Bitcoin Investment Trust and Ethereum Classic Investment Trust, both sponsored by Grayscale Investments, are examples of such products. “I think the fact that within the Bitcoin universe an algorithm replaces the functions of the government … is actually pretty cool. 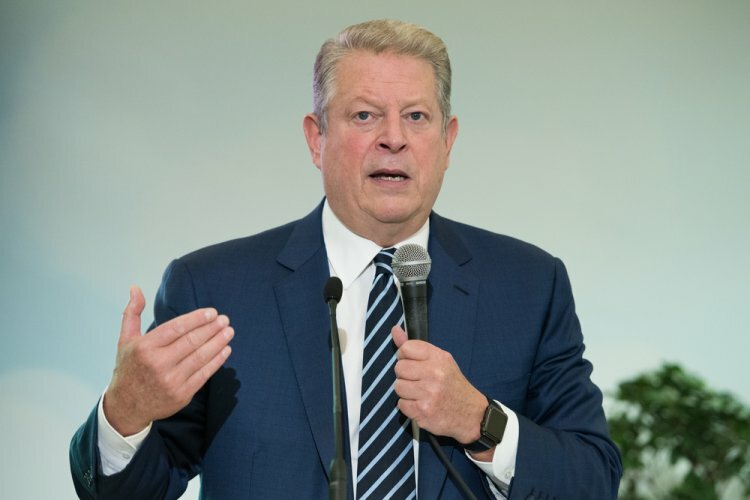 I am a big fan of Bitcoin” - Al Gore, former US Vice President. Aside from the profit investors can make from speculating on the potential rise of cryptocurrency valuations, other attractive benefits of cryptos are the security and transparency they offer. Centralised banks and institutions remain vulnerable to external and internal interference. Having the decision-making process concentrated in one place has its disadvantages. Abuse of power is far easier if a small group is able, with little in the way of transparency or accountability, to manipulate conditions in their favour. Think of how China kept its currency rates artificially low in order to make Chinese exports more competitive on the global market. There are plenty of other examples too. In 2013, the Central Bank of Cyprus announced its’ intent to take back uninsured deposits larger than $100,000 in order to recapitalise. This caused a public outcry with fears that these measures would eat directly into family savings. Governments and central banks can and do manipulate currency. It is a balancing act – a depreciating currency can boost exports but can also force inflation higher. Government can print more money to try and deal with a national debt problem but then inflation may soar and the value of the currency will decline. In a worst-case scenario, the result is hyper-inflation as happened in Germany in the 1920s when the economy collapsed. With a cryptocurrency these threats do not exist as no central authority has control. Cryptocurrencies help you to escape monetary policy. Cryptos are designed to decrease in production over time which creates a market cap on them. For instance, Bitcoin, the most well-known cryptocurrency, will never have more than 21 million coins in circulation. The system of market caps applies to most cryptocurrencies but not all. With Etherium there is an unlimited coin supply available. Cryptocurrencies are also deemed to be less susceptible to counterfeiting. Because they are digital, they cannot be counterfeited as easily as notes/coins. Identity theft is another area where cryptocurrencies claim an advantage. 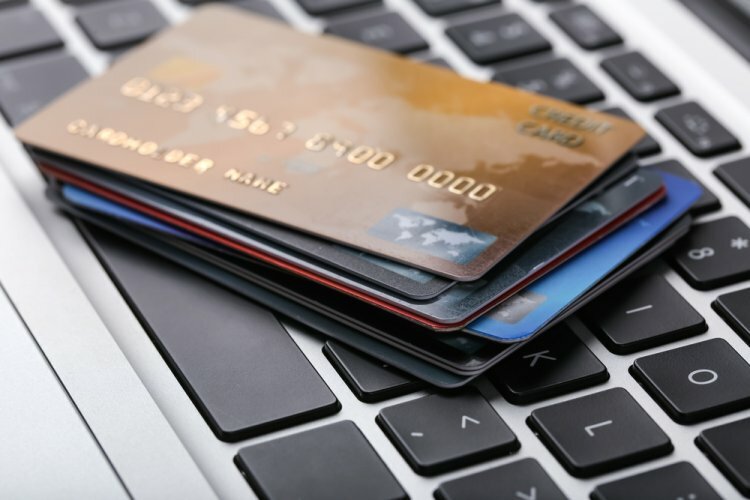 With a typical credit or debit card, the account holder when transacting with a store or business, gives the vendor access to their full credit facility, even if the money transaction itself is quite small. These cards operate on a ‘pull’ basis, that is the vendor instigates the payment, ‘pulling’ the defined amount from the buyer’s account. A cryptocurrency works in a different way, on a ‘push’ basis’. The buyer and cryptocurrency holder, sends exactly the amount they want to the vendor with no additional information provided. It is essentially anonymous. Speed of settlement is another highlighted benefit of cryptocurrency. With property sales for instance, there are numerous third parties that can cause delays on fees and money transfers. Bitcoin contracts can be established to eliminate third party approvals or to assure completion at a specified date at a much-reduced cost compared to traditional asset transfers. You can buy cryptocurrency from a coin exchange, an online broker, directly from another individual or even from some ATMs. Websites such as Coin ATM Radar can show you where you can buy cryptocurrency. A coin ATM will take cash from your bank account and send the converted digital currency (Ethereum Bitcoin, litecoin etc) to your crypto wallet (which could be on a smartphone app) where it is stored. If a crypto coin has a high value, you can buy in smaller amounts. For instance, if Bitcoin is valued at £1,000, you could deal in, say, milliBitcoins of £1. Most wallets will show valuations in fractions of one coin. Exchanges connect crypto currency traders. A trader can set a limit order to buy or sell crypto coins for a specified price. The exchange will match buyers and sellers when conditions on both sides are met. Market orders will just find the best matching limit order. For example, if the current trading price for a crypto coin is £100. Two traders want to sell coins but not for £100. One has sets a limit order of £105 while the second has set an order at £110. The best price to buy therefore is £105. With a ‘buy’ market order, the exchange will identify the best price and it will buy from the trader offering £105. But if the buyer wants to subsequently buy more crypto coins, the exchange will source the lowest price available which could be above £105 if the lower-price sell orders are no longer on offer. The number of online brokers trading cryptocurrency has expanded steadily over the years. A minimum deposit will usually apply and this varies widely from broker to broker – anything from £1 to £500. Most brokers offer several types of trading platforms. Some are more suitable for the novice investor, while others are aimed at the more advanced. It is essential to review each broker’s offering and ensure you choose the one most suitable for your needs. The distinct difference between a crypto coin broker and a crypto-exchange is that with a broker you are trading a financial instrument (typically a Contract for Difference – CFD) that mimics the price movements of an underlying asset – in this instance the cryptocurrency. When trading via a crypto currency exchange, you are actively trading the coins themselves. The process of spending crypto currency is relatively simple. Your electronic wallet will follow your payment instructions and transfer crypto coins (in reality a series of numbers), to the recipient who takes them into their wallet. While this process itself is simple, not all businesses or retailers are set up for crypto currency transactions. Over time, this may change significantly and is a subject we cover in great depth later in this guide. Initial coin offerings (ICOs) are a way for developers of blockchain technology to raise development funds via the internet. ICOs may look attractive, but they are high-risk speculative investments where you could lose some, or all, of your money if the project fails. An ICO is a way projects can raise money over the internet. You invest in them by sending virtual currencies, such as Bitcoin or Ethereum, to a blockchain project and, in return, you receive digital tokens related to that project. These tokens are held securely in a digital wallet. ICOs sounds similar to IPOs (initial public offerings) of company shares. However, they are markedly different. Unlike an IPO an ICO offers no legal rights or claims to any underlying assets. With an IPO, an investor has part ownership in a company through share holdings. With an ICO, investors buy coins of the company, which can appreciate in value if the business proves successful. However, given that projects funded through ICOs are typically early-stage start-ups there is always a high risk that the company will fail and investors will lose their money. In addition, because ICOs are not regulated, there is no redress if money has been unwittingly lent to a fraudulent business. The problem with shares, commodities and currencies is that investors frequently get caught up in any hype. If there is a bandwagon to jump on, investors will often make the leap focusing on the possible returns rather than the inherent risks. Whether it was dotcom stocks back in the late 1990s or tulip mania in Holland in the 1630s, investors have seen markets crash spectacularly as a speculative bubble bursts. The same concerns of a ‘bubble’ apply to cryptocurrency too. There is no doubt that many who have invested in cryptocurrency (especially the early birds) have made enormous profits. Headlines along the lines of ‘Bitcoin is now worth more than gold’ or ‘Ethereum breaks $100’ have encouraged investors to see cryptos has a high-gain option. However as with all ‘speculative’ investments, there is always a potential downside. Fortunes can be made and lost very quickly. Cryptocurrencies ARE risky. For one thing, they are always susceptible to hacking. When the now defunct, Mt Gox exchange was hacked in 2014, around 850,000 bitcoins went missing. At the time, the loss was valued at around $450m. And in 2016, Bitcoin currency plunged in value by 20% after Bitfinex, an exchange based in Hong Kong, was hacked and funds stolen. While cryptocurrency is unaffected by Central Bank decisions or the monetary policy strategies of governments, it is not immune to threats from various other quarters. Valuations of digital currency can fluctuate wildly according to demand. If a large group of retailers decide to stop accepting a crypto coin and leave the system, coin valuation will drop which will in turn hit users who have a large investment in the virtual currency. The decentralised nature of cryptocurrency is a curse as well as a blessing. We have already mentioned major security flaws but what about government bans or strict regulation? 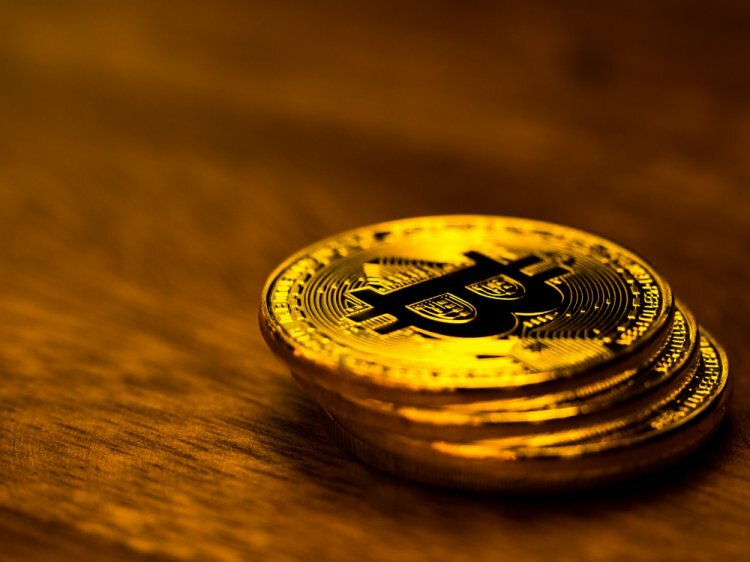 The anonymous nature of cryptocurrency may have its attractions with regards to security but there are inevitably concerns that this will appeal to criminals – particularly drugs and illegal arms deals as well as money launderers. Also, what if a superior alternative to Blockchain technology arrives? What level of disruption and devaluation would that cause? An asset that can double in value, then double again and then again is going to attract investors. The huge interest in digital currency is by no means a surprise given stellar price rises seen in the cryptocurrency market. But have the big gains already been made? Some would argue yes, others that the crypto market is still in its infancy and prices can continue to rise much further. Rather than invest in the highly priced Bitcoin or Ethereum currencies, investors may be tempted by the lower-priced, newly launched cryptocurrencies. Arguably they offer greater growth potential from a lower starting point. But are the fundamentals of the currency sound? What are the credentials of the team of developers? What strengths, if any, does the coin have in an ever-crowding market? In more general terms, it is important to avoid the herd mentality or think of cryptocurrencies as ‘get -rich-quick schemes’. There are no fixed returns from crypto currencies so do not invest your life savings based on any current hype. Do as much research as you can and as with all investments, diversify. Diversification doesn’t mean just invest in numerous cryptocurrencies (though that might be good practice) it means spreading your investments outside of the digital currency sphere – in equities, bonds, cash, property, commodities and through different investment vehicles. There are those that see cryptocurrencies as a major disruptor to the banking and financial sector, that they will ultimately substitute the dollar and the euro as the first free world currency. Whether they become the dominant currency for international trades is yet to be seen but as their visibility increases so too, one suspects, will their usage. Will governments and central banks actively look to disrupt the advance and development of digital currency? 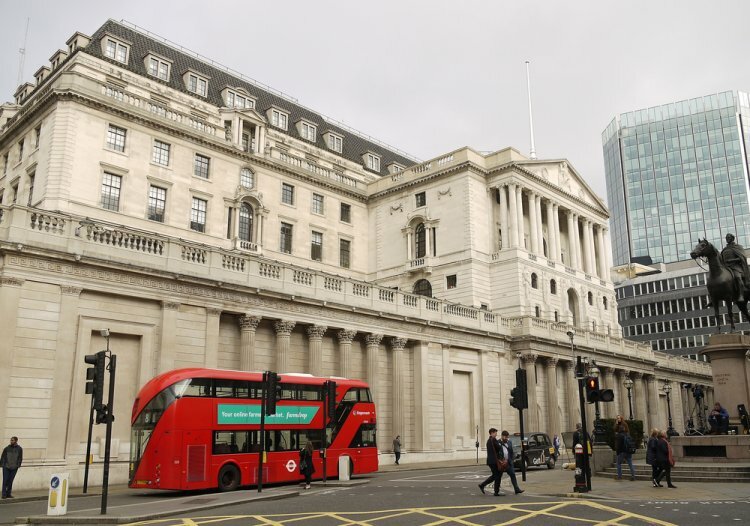 It could feasibly be argued that the ability of central banks to control monetary policy diminishes proportionally to the increase of digitalisation. However, Dr Jens Weidmann, president of the Deutsche Bundesbank disputes the argument that cryptocurrencies will eliminate central bank currencies. He believes that central banks are better able to deliver price stability than an algorithm. It might be that central banks counter the growing influence of crypto currencies by issuing their own digital currencies that offer the public greater protection- it is believed the central banks of Russia and China are already considering this. With regards to the development of cryptocurrency, important landmarks along the way include Microsoft becoming an early adopter of the new digital currency, back in 2014. PayPal also allowed merchants to accept Bitcoins in the same year with eBay following soon after. Supporters of cryptocurrency maintain that as more retailers and business accept Bitcoin, then commerce will be streamlined and the purchasing experience for millions of shoppers will improve. Just look at the media coverage on whether Amazon would or would not adopt Bitcoin. The more cryptocurrencies are accepted by global retail brands and businesses, the more they are legitimised and their standing strengthened. Bitcoin (BTC) was the first and is the most commonly traded cryptocurrency to date. The technical system on which all cryptocurrencies are based on was created by Satoshi Nakamoto. Ethereum. (ETH) Developed in 2015, it has not always been a smooth ride for this crypto currency as it suffered a serious hack in 2016. While its value has recovered significantly since then, initially, following the hack, its value crashed as low as 10 cents. Ethereum is backed by an alliance that includes JP Morgan, Microsoft, Intel, Banco Santander, Credit Suisse Group, UBS and BP. Ripple: (XRP) Another distributed ledger system, Ripple was launched in 2012 and can be employed to track many kinds of transactions, not just of cryptocurrency. It has been used by banks including Santander and UBS. Litecoin: (LTC) Launched in 2011, Litecoin is similar in nature to Bitcoin. It has invested heavily in innovations to ensure faster payments and higher volumes of transactions. Monero (XMR) is a privacy-focused cryptocurrency that unlike many cryptocurrencies is not based on Bitcoin's code. Monero is based on the CryptoNote protocol. In January 2017, Monero’s credentials as an untraceable medium of exchange were further strengthened by the adoption of Bitcoin Core developer Gregory Maxwell's algorithm Confidential Transactions. Some cryptocurrencies have seen valuations soar but for how long? Charlie Shrem: Shrem was a college student when he first came across Bitcoin. He bought 500 coins at $3 each When the price rose $20 he scaled up and bought thousands more. Not long after, Shrem started up a company called BitInstant which enabled users to buy Bitcoins from over 700,000 stores across the US including the retail giant Walmart. By 2013, BitInstant was processing close to 30% of all bitcoin transactions. While Shrem is reckoned to still be a multi-millionaire through his endeavors, he was sentenced to two years in prison in 2014 for aiding and abetting an unlicensed money-transmitting business related to the Silk Road marketplace. BitInstant had folded five months prior to his sentencing. Currently Shrem is a director at Jaxx, a multi-platform blockchain cryptocurrency wallet. 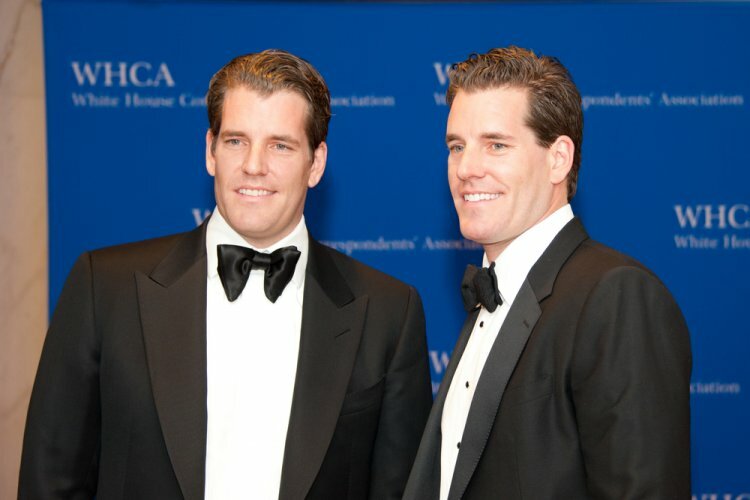 Tyler and Cameron Winklevoss: The Winklevoss twins, were one of the earliest to see the investment potential of Bitcoin. According to The New York Times they invested $11m in Bitcoins when the currency was still in its infancy. It is believed a large percentage of this money came from their $20m (cash) financial settlement from Mark Zuckerberg of Facebook. There net worth is estimated to be north of $3.7bn. Yifu Guo: While studying in New York, Yifu Guo was mining Bitcoins to earn extra cash to help pay the bills. Guo realized the potential of bitcoin’s blockchain and he subsequently launched the first ASIC miner manufacturing company for Bitcoin named Avalon. The ASIC chips were claimed to be 50 times faster than graphics cards and less costly. Avalon proved a huge success, making Guo millions of dollars. Jered Kenna: Like most crypto-millionaires Jered Kenna saw the potential of cryptocurrencies early on. The former marine turned successful entrepreneur bought his first batch of Bitcoins at just $0.2 per coin. He later traded this particular batch for $258 each – he had multiple batches on top of this. His net worth is not known but it is believed to be comfortably in the multi-million wealth bracket. Roger Ver: An early investor in bitcoin start-ups, Ver supported projects including BitPay, Ripple and Blockchain. His investments have proved highly profitable and his estimated total net worth is around $750m. Michael Novogratz: The hedge fund manager at Fortress Investment Group, is another who has benefited from cryptocurrency rises. It is believed Novogratz keeps 20% of his overall assets (estimated at $750m) in cryptocurrency – mostly Bitcoin and Ethereum.